Properties in Al Tahoe average 4.5 out of 5 stars. Property 4: "Luxury on the lake"
4BR South Tahoe House with Hot Tub & Sauna - Walk to the Beach! Property 17: 4BR South Tahoe House with Hot Tub & Sauna - Walk to the Beach! Merced Cozy Tahoe Cabin Right Across the Street from the Lake with awesome lake views. Property 20: Merced Cozy Tahoe Cabin Right Across the Street from the Lake with awesome lake views. Luxury “Famous Cabin” - Steps to Lake, Immaculate Estate for Extended Stay! Property 22: Luxury “Famous Cabin” - Steps to Lake, Immaculate Estate for Extended Stay! COOL TAHOE CABIN-HOT TUB, 2 MILES TO SKI, 1 BLOCK TO LAKE, PETS, BIKES, WIFI!!!! Property 23: COOL TAHOE CABIN-HOT TUB, 2 MILES TO SKI, 1 BLOCK TO LAKE, PETS, BIKES, WIFI!!!! Property 24: AMAZING LAKEFRONT GETAWAY!!! Awesome Lakeview Cabin Located Just 1 Block from the Lake. Property 26: Awesome Lakeview Cabin Located Just 1 Block from the Lake. Log cabin w/ private hot tub & rustic charm! Walk to beach! Property 31: Log cabin w/ private hot tub & rustic charm! Walk to beach! Beautiful home w/ private hot tub and close proximity to Lake Tahoe! Property 36: Beautiful home w/ private hot tub and close proximity to Lake Tahoe! Property 37: Charming and Comfy Cabin in the heart of town! Merced Dog Friendly Cabin Steps to the Lake with a double lot fenced yard. 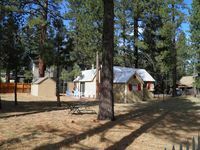 Property 38: Merced Dog Friendly Cabin Steps to the Lake with a double lot fenced yard. 2017 New 4Bed/3Bath, Prime Location - BEAUTIFUL! Property 49: 2017 New 4Bed/3Bath, Prime Location - BEAUTIFUL! Hot tub, game room, deck with grill, and centrally located! Property 50: Hot tub, game room, deck with grill, and centrally located! We really enjoyed staying here. It was perfect for our family of four and our dog. 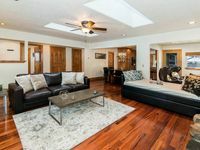 Cozy atmosphere, great yard and conveniently located to the heavenly ski resort. Will definitely be back!